This pizza dough, it’s a whole story. Every sunday for a while, that’s pizza time! At the beginning, we were buying fresh premade pizza in our supermarket and we were eating them in front of a good movie to relax before monday. After a while we tried to make them ourself with premade pizza dough, however we were cooking tomato sauce with onions, herbs for hours beforehand. But it’s like it was always missing something… The taste was alright, but with a tiny bit of chemical taste, too sweet, .. not perfect in fact. 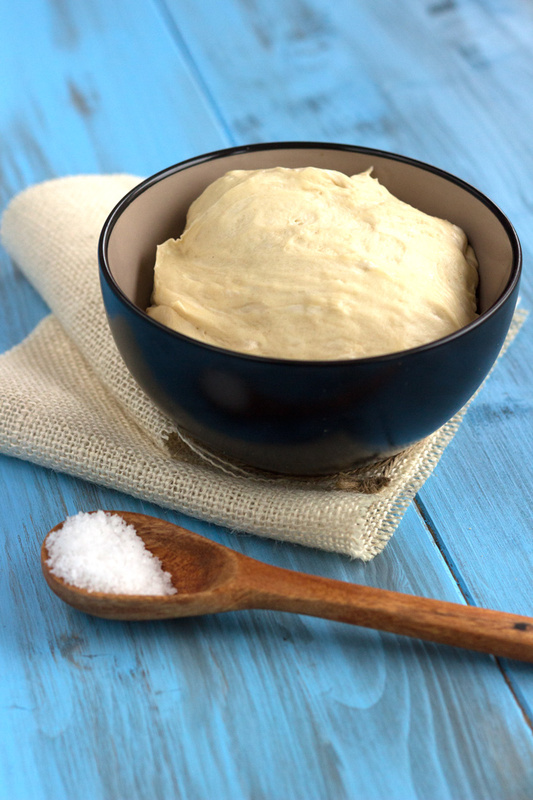 Now we make homemade pizza dough and you can feel the difference not only because the taste, you can feel it in your stomac as well. At the beginning, we were using white flour, and after some time we follow my acupuncutrist’s advice and used spelt flour with less gluten and you can definitely feel it! Maybe next I will make my own natural leaven. I would love to have another pet that my mother in law have to take care of when we are leaving for holidays, like our cat :-). Put flour in a mixing bowl. Add salt. Dissolve yeast in water and olive oil. 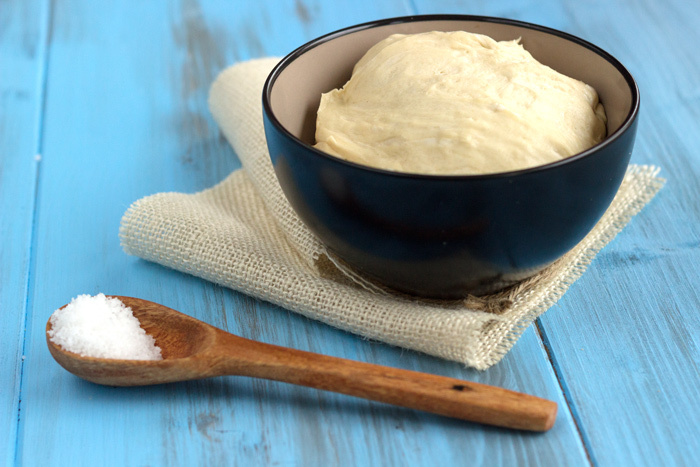 Pour into flour and mixing using your hands until you get an homogeneous dough. Preheat oven to 240°C, add topping and then bake for 8 minutes in the middle of oven. If you add too much ingredients containing liquid then you will have to extend cooking process.